Doctor Who fans looking for something appropriate to serve breakfast in will want to grab these two dining accessories, created by Lura’s Design. What we have here are a couple of ceramic pieces made to look like the bottom of Daleks. 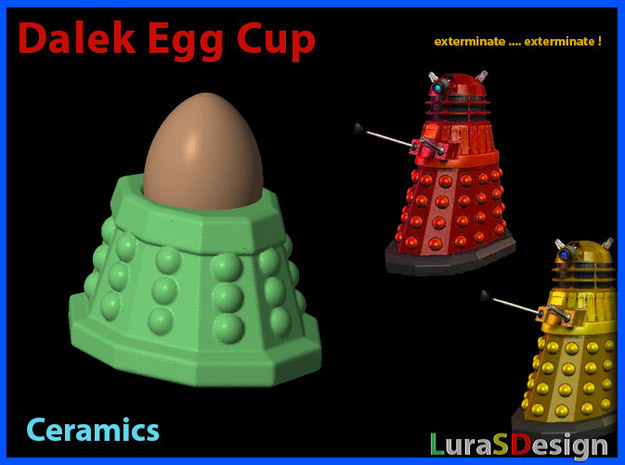 In one case, we have a Dalek coffee mug, and the other, an egg cup. Now speaking from personal experience, I don’t remember the last time I used an egg cup, but I use a coffee cup multiple times every day. Though I suppose if I were to hop in the TARDIS and set course for England, I could envision having a soft-boiled egg with some toast strips – it seems like a proper British thing to do. 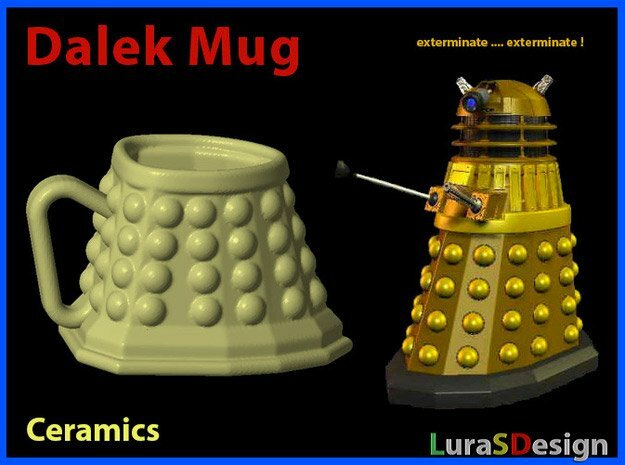 Both the Dalek mug and egg cup are created using a 3D printed mold-making process, then cast into ceramic. Both are available from Shapeways, in a variety of colors. They each sell for about $40(USD).